Block out damaging UV rays and reduce your costly energy bills while giving your patio a stylish and beautiful look as well as staying comfortable. Señor Mist offers leading products which are available in manual, electric, or fully automatic, giving you full control of your patio shade. Our Patio Drop Shades are a great way to shade your patio, providing comfort and cooler environments. Patio drop shades can reduce your summer energy bills by blocking up to 95% of the sun's rays. Providing shade for your patio while blocking harmful sun and UV rays. Patio shades offer you virtually distortion free views while blocking 90% to 95% of the suns energy and damaging UV rays. Patio shades help reduce your costly summer energy bills. They are practical, stylish and beautiful. Available in manual, electric or fully automatic modes they provide shade when it’s sunny and retract automatically when it is dark or windy. With many color choices, we have the right combination to keep you cool! Whether you are away on vacation, getting ready for big storm, or hiding from the intense sun rays, not our Patio Drop Shades are a great way to shade your patio, providing comfort, and cooler environments even in the hottest summer days. 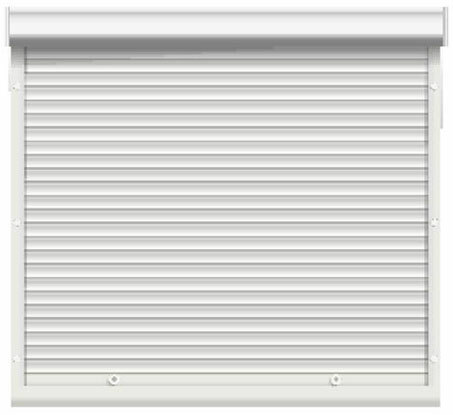 Law enforcement has recently stated that having Rolling Security Shutters is one of the best options available when it comes to home security. Operated from the inside, you have complete control of how and when you utilize your shutters. Stop worrying about intruders, heat and UV rays, loud noise, flying debris or dust and allow Señor Mist to transform your home into a more comfortable environment today.